Freeze tag, refrigerator tag, cigarette tag and…who knew there was such a thing as Easter tag? And did anybody who didn’t grow up in tobacco country play cigarette tag? My husband and I grew up in different tobacco growing states, but we both played cigarette tag as children. And now there's Easter tag. Kate at Kate’s Kitchen tagged me in a game where you are supposed to create your Easter dinner menu from your previous blog posts and then tag 10 more people to do the same. It’s Saturday afternoon, so I think I’ll have to change the rules of the game. I’m not going to tag anyone else since it's so late, but I thought it would be fun to play. I went through my last year’s posts and realized I don’t have many recipes. My blog is more about what and where I eat and drink – events, travels, restaurants, classes, and certainly what we cook as well, but not so much about recipes. So I’m changing the rules again. I’ve saved quite a collection of recipes from other bloggers that I want to try someday. My dream menu is going to be created from their recipes. The disadvantage is you won’t see their photos here; you’ll need to go to their pages to see their exquisite creations. 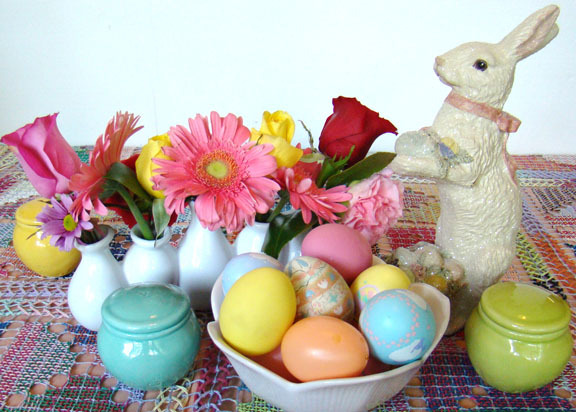 Often we do a brunch for up to 30 people for Easter. But this year, I’m not feeling up to that so we will be cooking for our friends next door. 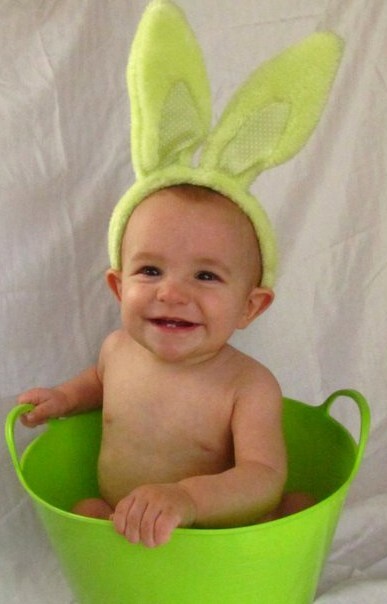 My precious grandson is spending his first Easter with his other California grandparents and their annual celebration. We were invited to join them, but the three hour drive each way with a party in between was too daunting for me. I need to conserve energy since I’m only at the half way point of immunotherapy. So I’ve designed this menu, not for a brunch of 30, but for the six of us who will be enjoying lunch together tomorrow. Thai Basil Spritzer from An Opera Singer in the Kitchen – This is the only item on the dream menu I’ve actually made before. Mine didn’t turn out as green as hers and I didn’t think it needed the sweetner. Our guests tomorrow don’t drink alcohol, so it’s a perfect choice. Easy Baked Crab and Artichoke Dip from Jason at Ancient Fire Wines. Sarah loves artichoke dip! Spring Quiche from The Cilantropist. This has one of my favorite cheeses, Humboldt Fog, and I can't wait to try it. Since I’m still working on our real menu, maybe some of these will show up. But Larry is doing most of the cooking this year, so he gets the final vote. This will probably remain a dream menu for now. I'll let you know what we settle on for the real meal. Great dream menu and a great way to highlight other blogs. Hope your dinner tomorrow goes well. And, what a cute green-eared bunny! Happy Easter!!! What good thinking I got tagged too, but haven't left the kitchen all day. Thank you for using my salad, I do hope you try it, it's so good. I was just stopping by to wish you a Happy Easter, I hope you get to celebrate with your grandson soon. Thanks for the tag. With Easter over I won't send it along, but I might break it out at a random time to get some love going again!